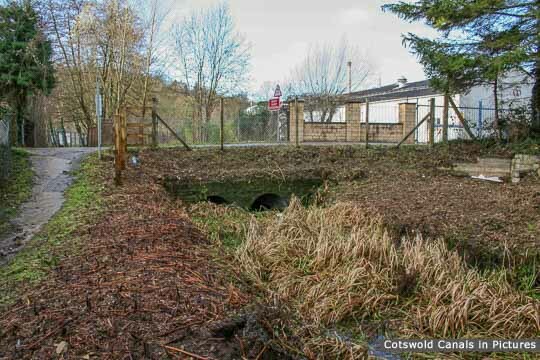 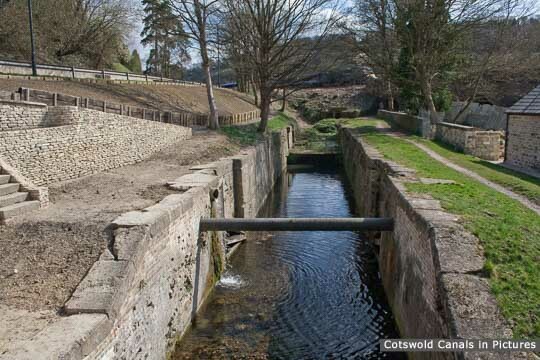 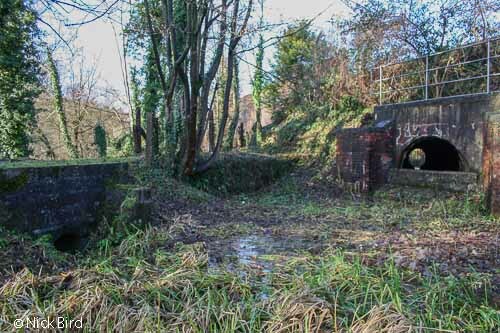 The former railway bridge was removed many years back and water in the canal passes under the railway in a culvert. 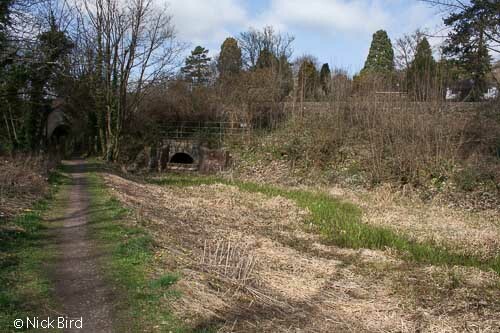 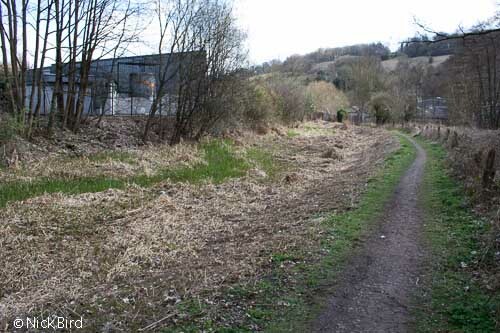 The start of Bourne railway viaduct can just be seen to the left in the top photo, under which the towpath is routed. 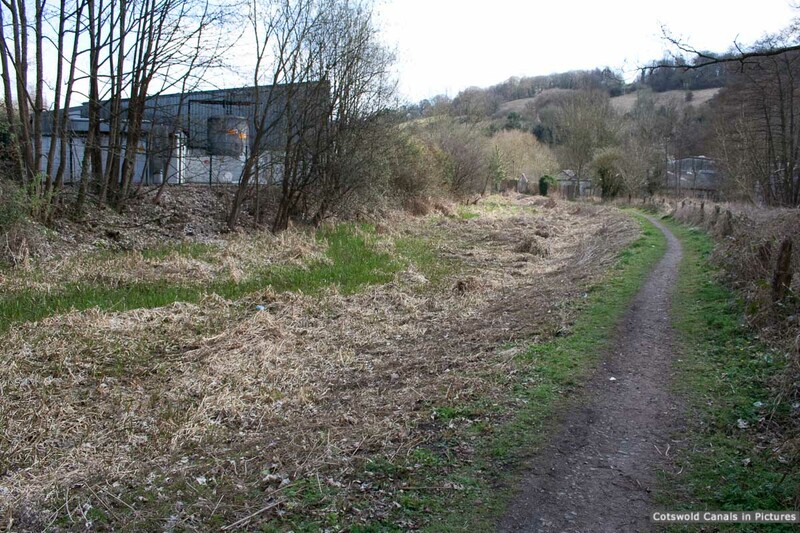 View from site of Bourne Railway Bridge towards Chalford. 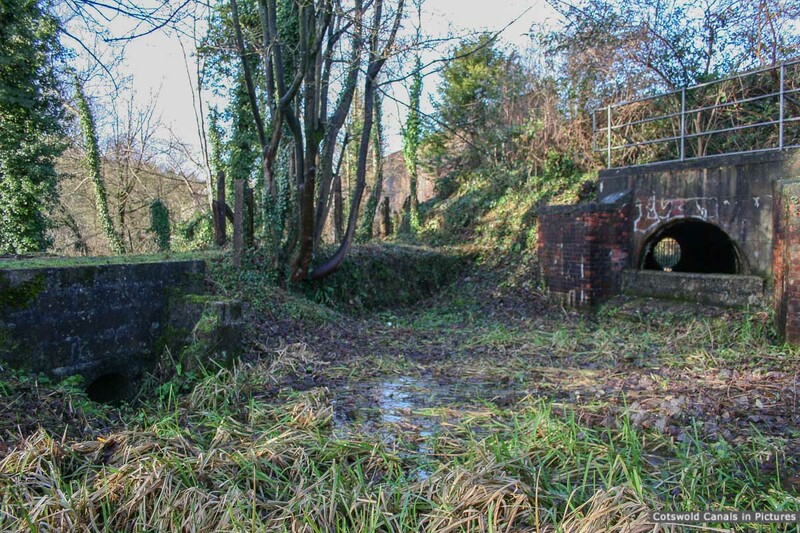 Canal culvert and 'drain' culvert under towpath.